Anthony Bourdain is a man who travels a lot. According to the television star, he’s traveling about two-thirds of the year and has been on that schedule for the past 10 years. By now, Bourdain has not only become an expert on destination travel, but also on the best way to enjoy getting yourself there. Whether it’s a weekend business trip or three-month-long pilgrimage, here are some of Bourdain’s top travel tips. By that, he really means dress for the security line. Wear comfortable clothing, including shoes that are easy to take off. Bourdain recommends Clark’s desert boots. Since it’s impossible to foresee how smoothly your flight will go, prepare for the worst. Bourdain recommends packing your carry-on luggage with a notebook, good headphones, Imodium, and an iPad—loaded up with books and movies. The key item: a lightweight down jacket, which can double as a pillow. Especially for travel, a novel can be more revealing than something like a guidebook, because it portrays the setting in a more visceral way. For instance, Bourdain says he reads Graham Greene’s The Quiet American when he goes to Vietnam. “It’s good to feel romantic about a destination before you arrive,” he says. 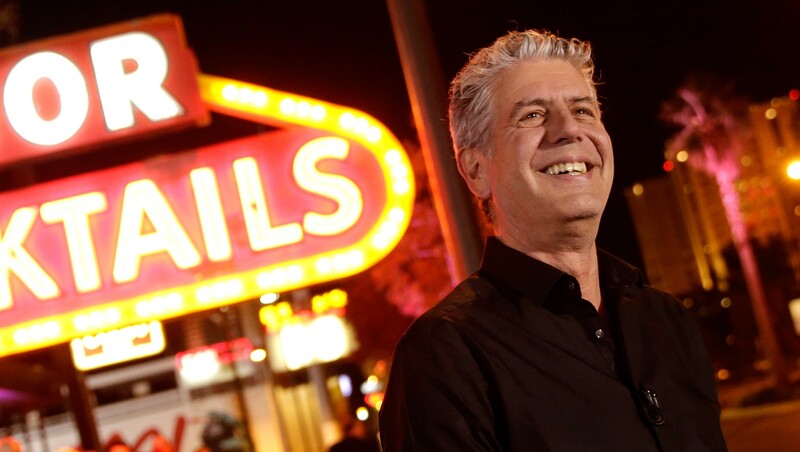 To read Bourdain’s full list of insider travel tips, follow this link over to Esquire.